Royal Enfield extended its product portfolio with the launch of the new 2018 Royal Enfield Thunderbird 350X and 500X in India. The Thunderbird X range is aimed to further advance the youthful character and the story of self-expression that the Thunderbird has come to define. The Thunderbird X is a bold new ‘twist’ to the Thunderbird. Here’s everything you need to know about the new 2018 Royal Enfield Thunderbird 350X and 500X. 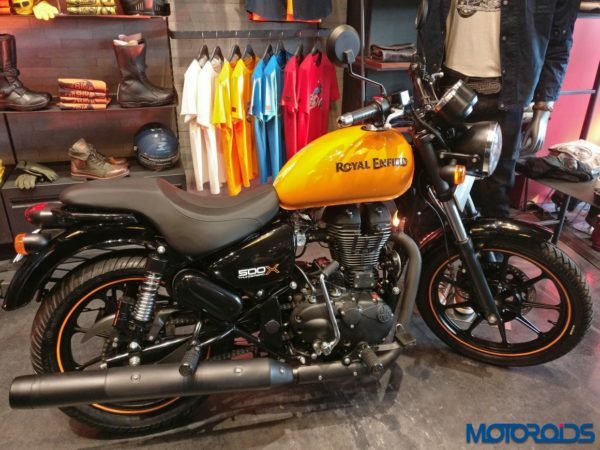 The new 2018 Royal Enfield Thunderbird 500X was launched in India on February 28, 2018. 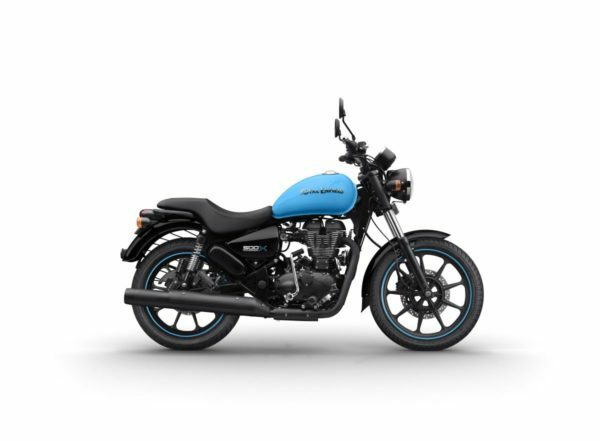 The new 2018 Royal Enfield Thunderbird 500X has been priced at INR 1,98,878 (ex-showroom Delhi). 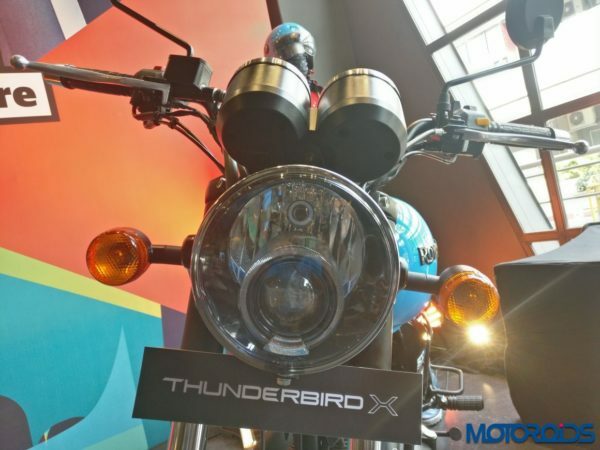 The Thunderbird X comes equipped with alloy wheels and tubeless tyres, a first for Royal Enfield. The ‘gunslinger’ styled seat coupled with the new grab-rail and shortened rear mudguard are aimed to create custom style statement and gives a cleaner, less cluttered look. The blacked-out theme is uniformly carried over to components like the silencer, front forks, side covers, headlamp cover, indicators and grab-rail. In high contrast, the vibrant colours of the tank are coordinated with other elements on the motorcycle, such as the stitching on the seat and rim-tapes on the wheels. The new flat handlebar has been dropped to give a more aggressive, and leant-in riding attitude, and makes for a more committed riding stance. The Thunderbird X range uses the same engine as the standard models. 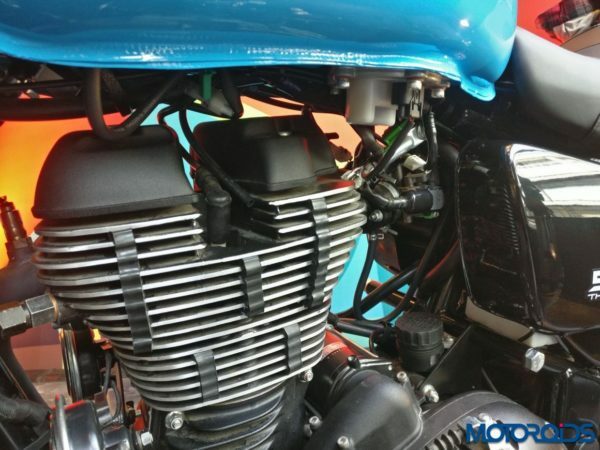 Thus, the Thunderbird 500X uses a single cylinder, air cooled, 499cc engine fed by an electronic fuel injection system which produces maximum power of 27.2 bhp @ 5250 rpm and generates 41.3 Nm torque @ 4000 rpm. Stopping power is provided by disc brakes, both in front and rear, which are aimed to ensure adequate stopping power for safety and stability. ABS, however, is not available on the motorcycle.